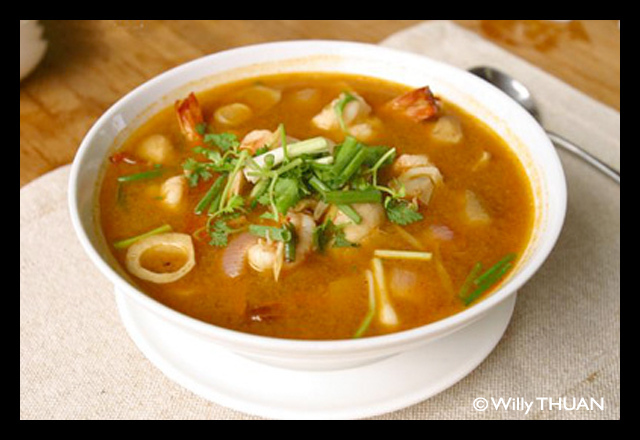 Tom Yam is one of Thailand’s favourite and most well known dish, to locals and visitors alike. 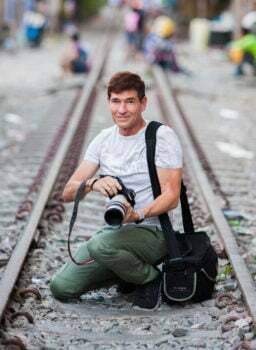 It’s is not a tourist trap, it is really part of Thai life. Tom Yam means hot and sour soup and Goong means prawns. Other famous variations are Tom Yam Talay (seafood), Tom Yam Gai (chicken), Kradook Moo (pork ribs). 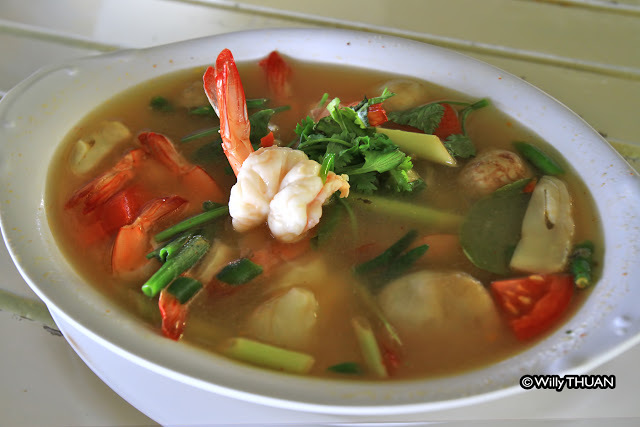 A special one, Tom Yam Goong Mae Nam, is cooked with delicious river prawns and is somewhat the mother of all Tom Yam. 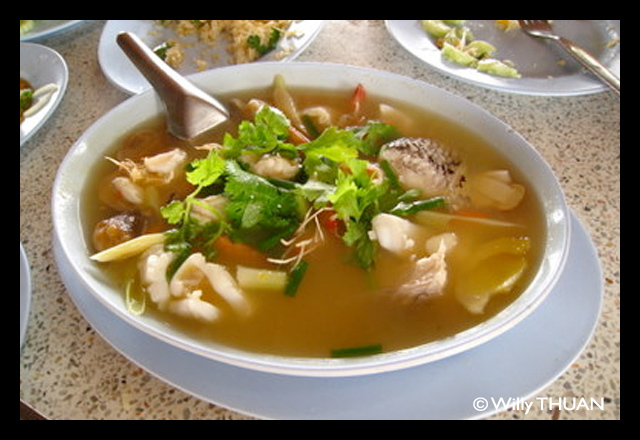 The orange color in today’s Tom Yam soup imitates the color of this original dish. Orange color in Tom Yam Goong Mae Nam comes from the fatty juice in the head of river prawns; this juice adds aroma, color, taste and all the extraordinaire to the soup. 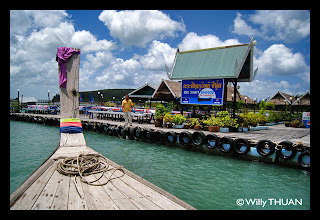 Back to the ordinary Tom Yam, there are 2 different soup bases – clear (Nam Sai) and thick (Nam Khon). Do not underestimate the timid and friendly look of the clear Tom Yam soup, it can be seriously hot. The thick soup is not really thick but that’s how we call it, it will be orange (like the top photo) from either Thai Fried Chili Paste or from the fatty part of shrimps or prawns (More often from a can than fresh). Some shops add evaporated milk or coconut milk to their Tom Yam as well. Thais have Tom Yam with rice as we consider this as Kub Kao (to eat with rice) rather than an appetizer. 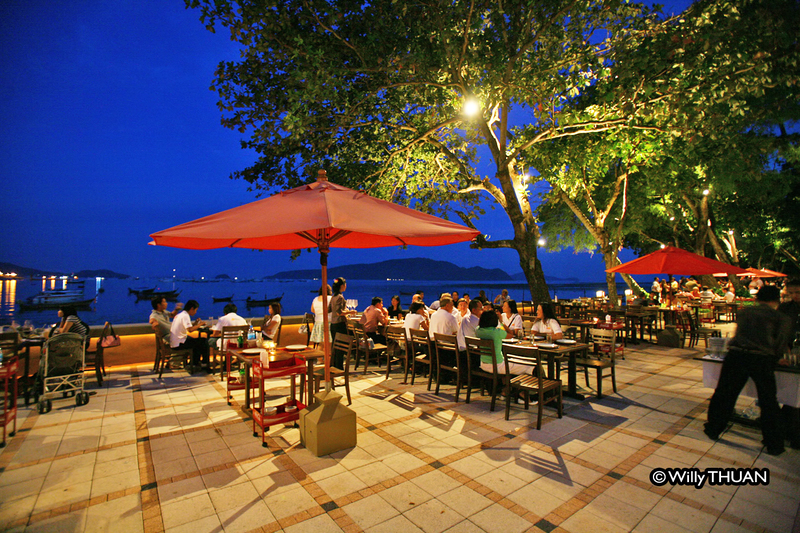 Where to find a great Tom Yam? Any restaurant in Phuket will serve you a good Tom Yam, but here are some local places we like: Bang Pae Seafood, next to Bangpae Waterfall, Floating Seafood Restaurant on the east coast, direction ‘The Village’ on Maphrao Island, or see 10 Great Seafood Restaurants in Phuket.